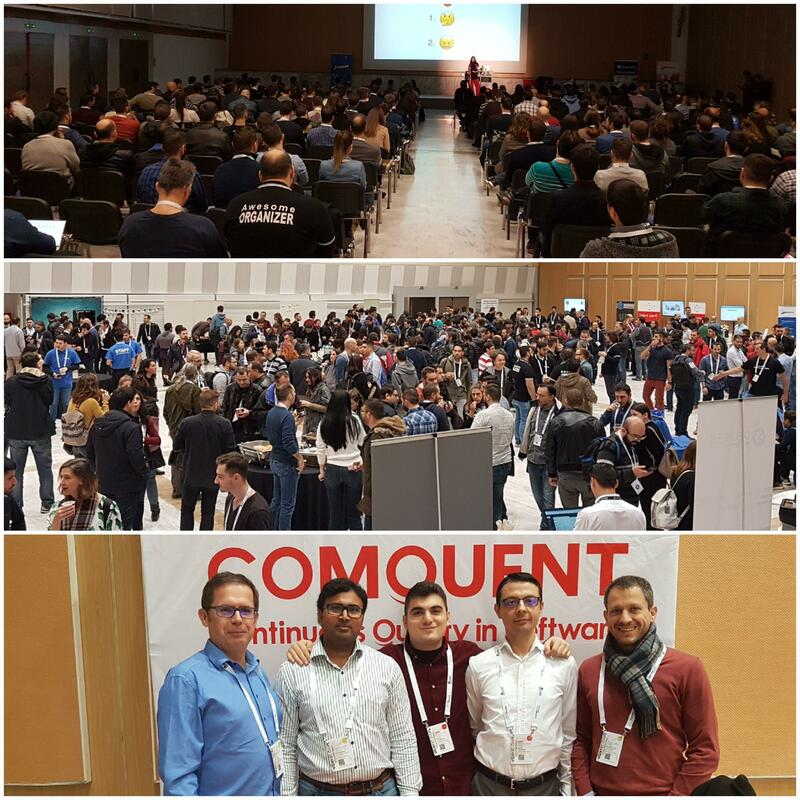 For another time, Comquent participated in one of the biggest IT conferences in Greece. As a company we had the opportunity to communicate and interact with people from the sectors of Testing, Developing and from Business too. We also met specialized individuals with passion for what they are doing and we still are in touch with them. Except from the interaction with great personalities, we also presented our three basic pillars such as Test Automation, Continuous Integration & Continuous Delivery and last but not least QA Management. We were happy to present our project’s structure concerning the Test Automation, an integration with Kubernetes and Jenkins regarding the CI&CD while at the same time our experienced colleges were there to combine the aforementioned technical parts and give examples from a business perspective. Concluding, many guests were enthusiastic for what we did while also many of them seemed to be surprised from the usage of new technologies, architectures and techniques. From our perspective, we were and we are very happy for the opportunity that we have to present these ideas. We are looking forward to participate in the next one!